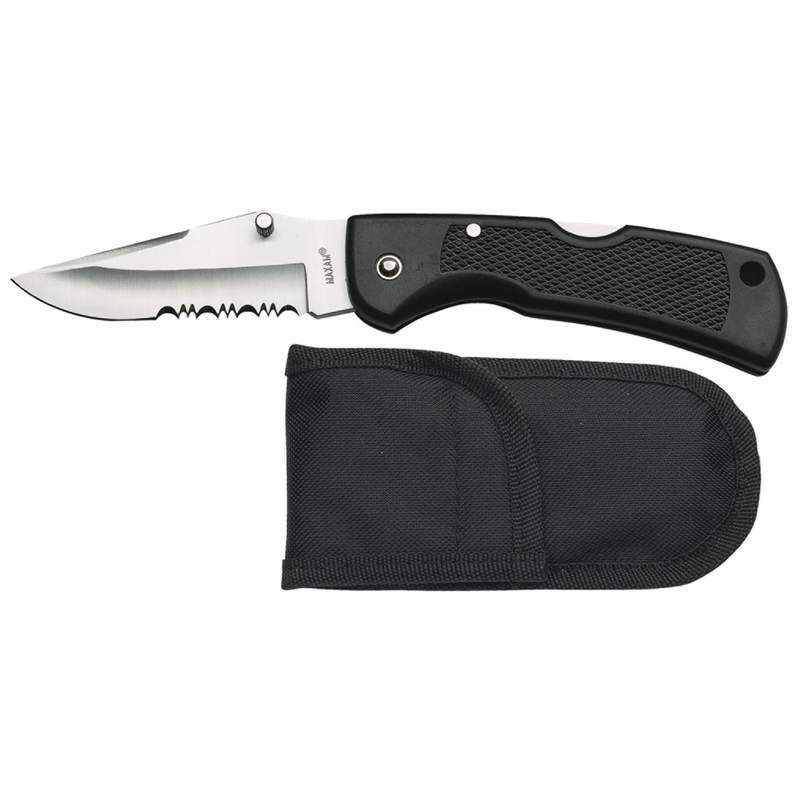 This knife features a durable Leymar™ handle and AISI420 stainless Japanese steel blade that is 1/8" thick, nearly twice as thick as many ordinary pocket knives, which provides for a more secure lock. Comes with a heavy-duty Kelvlon™ sheath. Measures 4-7/8" closed, 8-7/16" open. Limited lifetime warranty. Gift boxed.